If you’ve ever wanted to know how to hypnotize somebody, you’re in luck. It’s pretty easy, and if you’ve got the person’s permission, you can do it as soon as you finish reading this. 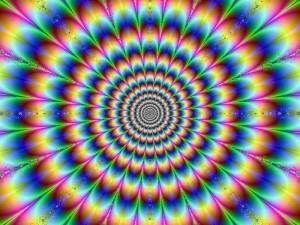 Just imagine you’re hanging out at a party, you’re talking with your buds, and you tell them you’ve just learned how to hypnotize people. All of a sudden, all eyes are on you. After all, being able to hypnotize somebody is difficult, right? It takes years of practice, right? Before we get started, there’s a couple types of hypnosis. One is direct hypnosis, which you’ll be learning here, another is indirect, or covert hypnosis. Covert hypnosis was created because even though people came to a hypnotist’s office, they were still kind of wary of being hypnotized. There’s plenty of videos on YouTube of people using mad skills to hypnotize people, and many people have seen stage shows where people get up and do goofy things. So if you ever encounter somebody who’s afraid of being hypnotized, realize what it is. It’s a fear of losing control. After all, nobody would willingly give their mind over to somebody else. The truth is that even under hypnosis, nobody would do anything that would harm them or violate their own personal code of ethics. However, it can still feel a little scary if you’ve ever been hypnotized. So the first thing you’ll want to do is create some kind of a “bail out” anchor. This is a certain word or image that the person can think of if they start to feel as if they’re losing control in a bad way. Also, it’s important to talk to the person and make sure they trust you and are aware of what’s happening. 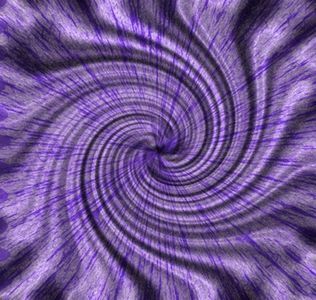 There are few methods of indirect or covert hypnosis, but we’ll only touch on them briefly after we discuss the way to hypnotize somebody directly. The first thing to do is ask them what they’d like to achieve. Would they like to get a certain outcome, or change a habit or belief? If so, find out what this is. Get as much detail before you get started. It’s crucial to state their intention in the positive. For example, if somebody wants to quit smoking, giving them a hypnotic suggestion of “you don’t smoke,” won’t be very effective. It would be more effective to flip it around in a positive statement which is easy to visualize. Once you’ve gathered a few ideas of what you want, you’re ready to get started. You’ll be combining various statements of relaxation with various pacing statements, as well some cause and effect statements. You are becoming more and more relaxed. Your legs are getting heavier and heavier. Your [body part] is getting more and more relaxed. You’re resting in the leather chair. Your hands are at your sides. Your breathing in and out. Since all of these are true, they’ll naturally say “yes” to themselves as you say these statements. Next is some cause and effect statements. These work wonderfully well because our brains come hard wired to recognized cause and effect relationships, even when there really aren’t any. Now we’re ready to put them together. Basically you can mix and match them however you like. Having a good deal of non verbal communication skills can help, as you can modify your statements as they get more and more relaxed. Basically you can start off with pacing statements plus relaxation statements. You are sitting there, and becoming more relaxed. You are breathing in and out, and sinking deeper into the leather chair. Your eyes are closed and that is causing you to feel even more relaxed. A good method, especially if you’re trying this for the first time, is to start down at the feet, and work all the way up to their head. As you breath in and out, you can notice that you’re feet are becoming more relaxed. As you focus on how relaxed your feet are, you might notice that your legs are feeling heavier and heavier. This naturally leads you to relax even deeper into the soft leather chair, which feels so incredibly comfortable. Just take your time, start at their feet, and work slowly up to their facial muscles. Speak slowly and steadily, and start to feel relaxed yourself. The more relaxed and calm you are, the more they’ll notice in your tone of voice. It’s also extremely helpful to monitor their rate of breathing, and match your rate of speech with theirs. To give you even more hypnotic power, breath at the same rate they do, and speak as you are exhaling. Once you get to their head, you can count down from five to one. Start off by telling them that as you count down from five to one, they’ll be getting even more and more relaxed. Just make statements after each number telling them how much more relaxing they are. Use metaphors like “sinking down,” “going down the elevator,” “slipping into deep relaxation,” “releasing stress and anxiety with every breath,” etc. There’s no right or wrong way to do this. So long as you are confident you can help them get relaxed deep down into a nice state of hypnosis, they’ll believe you. Once you’ve got them good and hypnotized, you can slowly say their ideal statement or belief several times. Once you do this, you can work in some post hypnotic suggestions. In the future, every time you see the color blue, you’ll remember how much self confidence you have. Whenever you hear your name, you’ll be glad that you only breath clean, fresh air. Whenever you wake up in the morning, you’ll remember how much fun it is to be socially outgoing and interact with new and interesting people. Then once you lay down some good post hypnotic suggestions, you can begin to bring them. Just tell them you’re going to bring them out, and slowly count from one up to five. And just do in reverse as counting them down. One, you’re beginning to notice your surroundings. Two, you’re starting to feel excited about your new life. Three, you may find it’s time to open your eyes. As you can see, this is pretty straightforward, and actually pretty easy once you try it out a couple of times. However, there are some times when you’d really like to hypnotize people, but they aren’t willing to, or maybe you just want to “play around” with them. There’s a whole collection of language patterns called the Milton Model which you can use in a regular conversation to get the same result, namely to reprogram them with more resourceful beliefs. Another way to hypnotize people is to use something called the confusion pattern. This is when you start talking really fast, and in a really confusing manner. Notice how it sort of sounds like a regular conversation, but one sentence kind of starts before the other sentence ends? Then while their conscious brain is starting to lose control, you hit them with the SLEEP! Hopefully, they’ll be so confused they’ll be looking for a way out, and when you say SLEEP, they’ll often take it. If they do close their eyes, you’ve just got to keep on talking and pacing them. Naturally, this takes a lot more practice, and a lot more confidence, but once you get the hang of it, it’s a great party trick! Keep that in mind when you’re learning how to hypnotize somebody! If you enjoyed this post, please consider signing up for our email list. You’ll get free daily training on how to use hypnosis and NLP in every aspect of your life to make it much easier, much more fun, and much more profitable! Hypnosis has to be the most hypnotizing word in our language right? It sounds warm and soothing, images of comfy chairs and soft spoken therapist float from the deepest corners of my memories. And I remember the gentle ticks of golden clocks as I suspended my disbelief and open my unabashed unconscious mind to the possibilities that I can do anything and…. oh dang it, I just hypnotized myself. Wait, no, my foot just fell asleep.